Vietnamese food culture always provokes foreign visitors’ curiosity because of its diversity with a wide range of mouth-watering dishes. 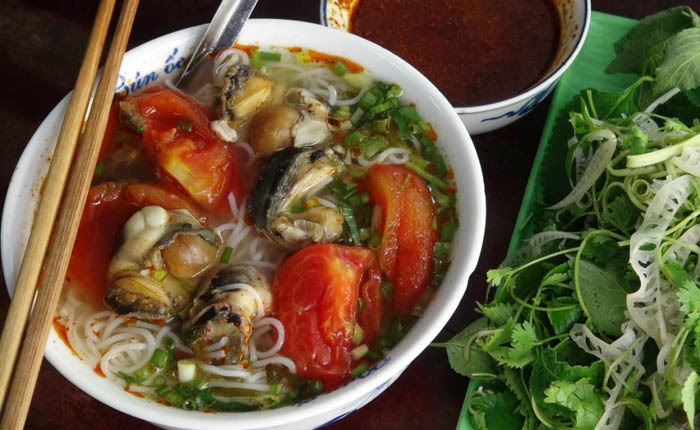 Most tourists visiting Vietnam admitted that they have a passion for exploring the wonderful local food in Hanoi and found that there are myriad foods or drinks that they have never seen before. Actually, I also had best experience with Hanoi food and with no doubt; I fell in love with all delicacies offered by charming and ancient Hanoi. Here, I am going to share with you 10 best delicacies while visiting Hanoi. Listed as the most popular and delicious soup in the world, noodle soup also called Pho is among the best with unique taste created by unique recipe. I was totally impressed by the wonderful taste made from sweet and hot soup together with white rice noodle and some tender pieces of beef or chicken meat. In general, there are two main types of noodle soups including beef and chicken noodle soup. 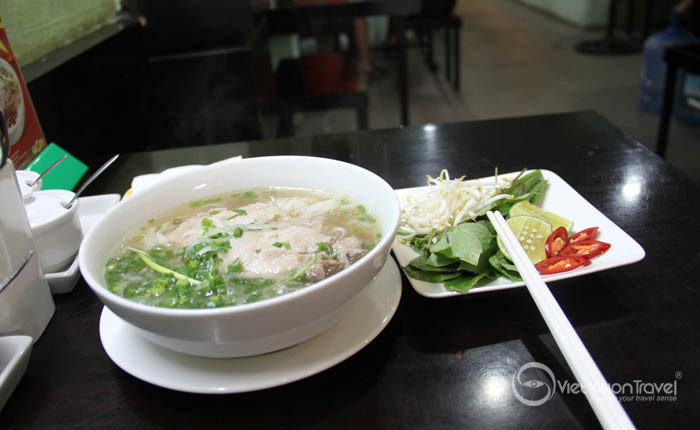 For a long time, Pho has become an emblematic symbol of Vietnam in general and Hanoi in particular and the taste of Pho is truly the beautiful soul of Hanoi people. Down to every corner of Hanoi you can easily find a wide of choices for your meal. However, there are some highlights for a truly amazing meal. 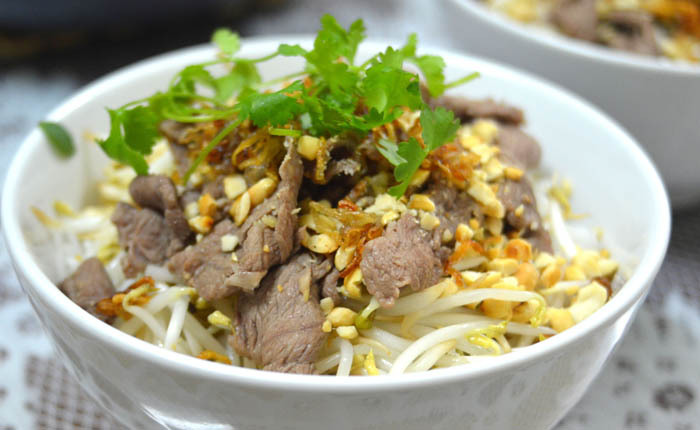 Together with noodle soup, grilled pork and noodle is also a must-try food when visiting Hanoi. Also called Bun Cha, this scrumptious food is a perfect combination of four elementary flavors encompassing sweet, sour, salty and spicy taste as well as main such main savory ingredients as grilled pork, green papaya, rice noodle and fresh herbs. – No.1, Hang Manh Street: a long-established restaurant with best taste of grilled pork and noodle. – 74 Hang Quat Street, Ha Noi: down to Hang Quat Street to grab a really delicious meal. One more highlight that you can find when exploring the traditional cuisine of Hanoi is La Vong grilled fish or Cha Ca. This specialty has existed for a long time with unique recipe handed down from the earlier generations to the later ones. 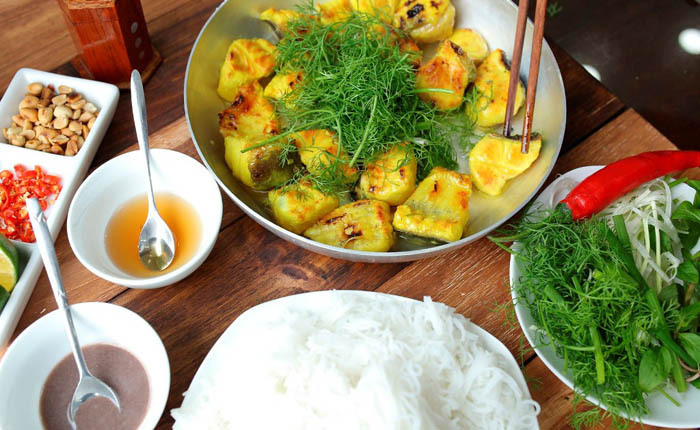 La Vong grilled fish is fish mixed with garlic, ginger, turmeric, and served on hot pan, and used with a tasty fish sauce including sweet and sour sauce, onions, garlics and chili slices. 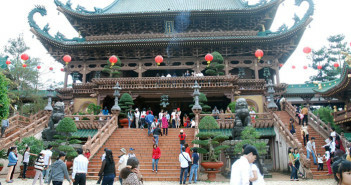 Until now, Cha Ca stills remains savory and unique that you cannot find elsewhere in the world. I recommend visiting Cha Ca La Vong restaurant located in 4 Chả Cá, Hoan Kiem Hanoi, Vietnam to enjoy the truly amazing specialty. Called Banh Cuon by Vietnamese people, this is one of my favorite foods in Hanoi and I strong recommend it to anyone who is planning a trip to Vietnam’s capital city. 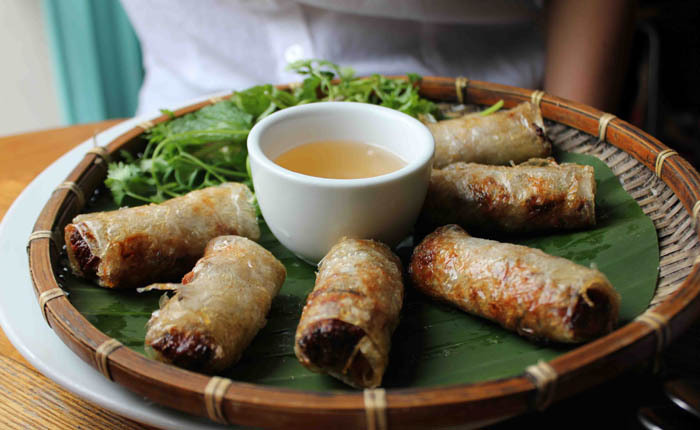 Made from a mixture of ground meat such as pork, shrimp or chicken and chopped ear mushroom, beansprout and Vietnamese herbs, Vietnamese Steam Rice Rolls is at its best when dipping into tasty fish sauce. For sure, you will never regret trying this wonderful specialty. 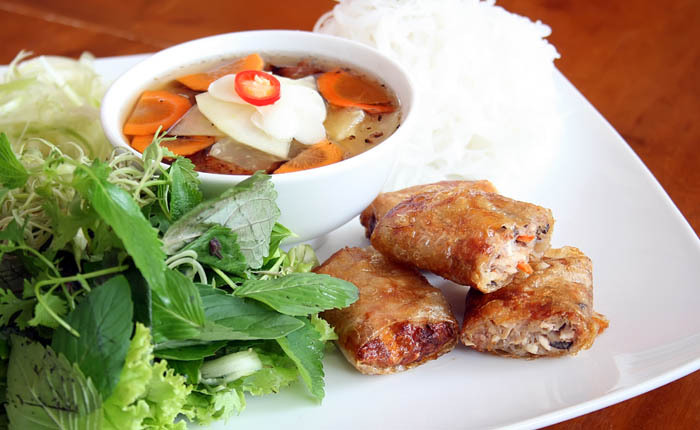 Your trip to Hanoi would not be complete without grabbing a delicious meal with Bun Bo Nam Bo. It’s also a traditional food in Hanoi enjoyed by not only local people but also overseas tourists. Hanoi people take pride in making a really uniquely tasty food with ingredients such as white rice noodles, fresh herbs, lettuce and so on. To make it tastier, a kind of fish sauce is added to create a distinctive flavor. You are advised to head to Bun Bo Nam Bo at 67 Hang Dieu Street, Hanoi Old Quarter.to enjoy such a great delicacy. Sweet Sticky Rice is also known as with the name Xoi Xeo. There is nothing quite like having a generous portion of sticky rice for breakfast. I was entirely taken aback by its taste that stills linger in my mouth. I love the flavor of sticky rice with fried onions. At the same time, I had a glass of soy milk for my breakfast. It’s really amazing. Don’t hesitate to head to Xoi Yen Restaurant at 35 Nguyen Huu Huan Street to order a portion of this delicacy to get the taste of the whole Hanoi. 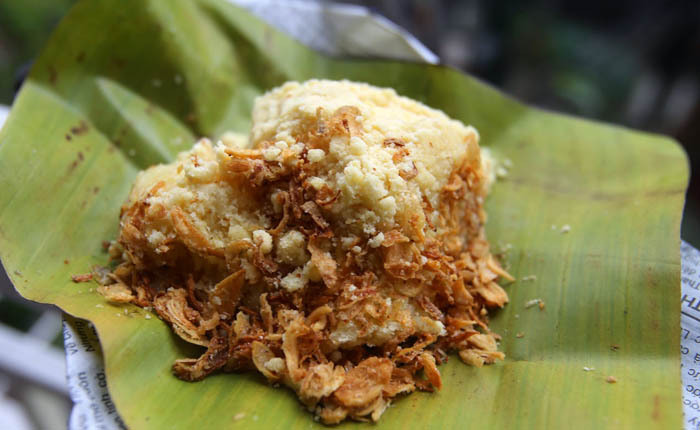 Perhaps, shrimp cake has become an integral part in the daily lives of Hanoi people. For sure, I cannot resist the perfect taste of shrimp cake. At the very first bite, you can feel the crunchy cake melting in your mouth. 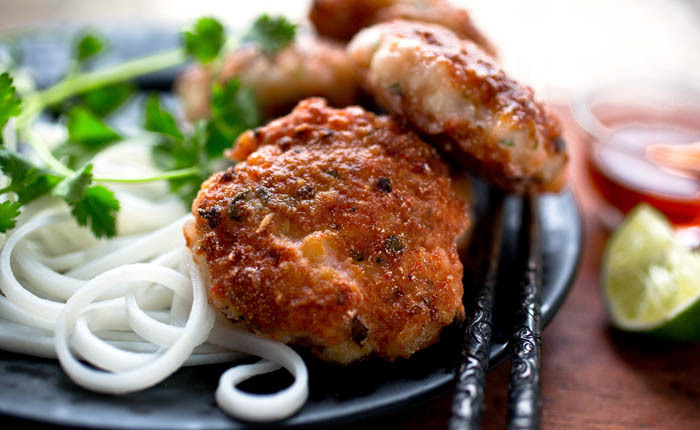 Use with fish sauce, shrimp cake will definitely make your day. Best place to try Shrimp cake is at Banh Tom Tay Ho restaurant, situated on the bank of the West Lake. This place has served a great number of restaurants and always gets good feedbacks. If I have one more chance, I will come back someday to experience this amazing taste of srimp cake. 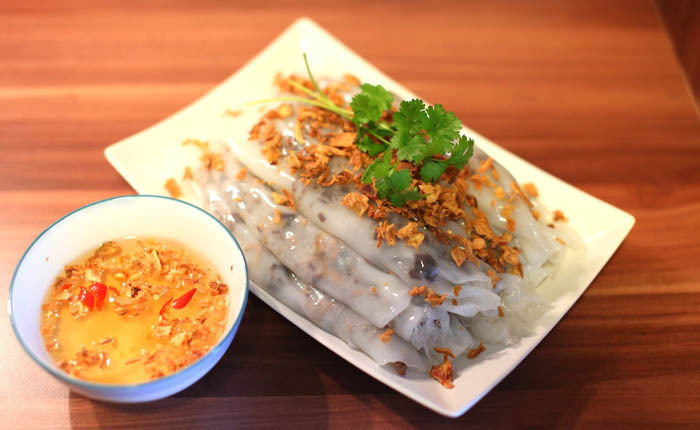 Among these 10 best delicacies of Hanoi, fresh spring roll is worth mentioning as one of the tastiest specialties that Hanoi offer. 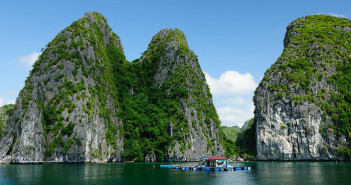 With elementary ingredients such as vermicelli, shrimp, pork and Vietnamese fresh herbs, fresh spring rolls has come across the top of food mostly enjoyed by tourists. – Countryside restaurant, 29 Bat Dan Street, Hanoi Old Quarter. Maybe, foreign travelers are not familiar with food made from frog and snails. However, in Vietnam, especially in Hanoi, such delicacies are among the most popular and savory. Another recommendation for best food to try in Hanoi is snail rice noodles. There is nothing quite like slurping a scrumptious bowl of snail rice noodle in the winter offered by street vendors. So, don’t miss this. So, where to enjoy best snail rice noodles? From my experience, 73A Mai Hac De, Hoe Nhai Street, Hanoi is among the best one. 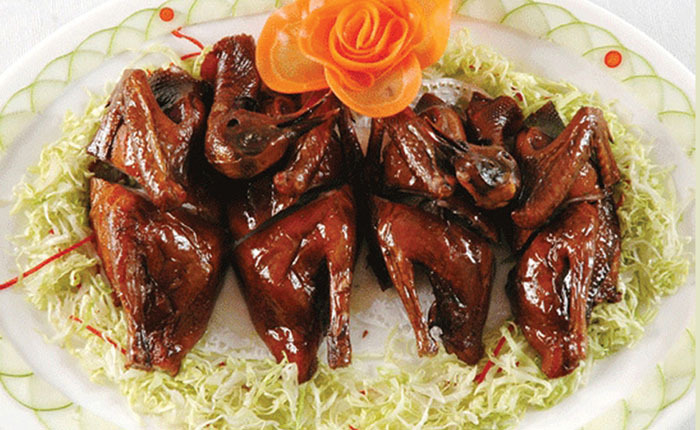 If you are craving for mouth-watering grilled meat, BBQ pigeon is one of the most optimal choices. Let’s explore Hanoi’s cuisine by enjoying this great dish which is made with the whole pigeon seasoned with a variety of spices. Surly, you will get a good treat for a meal when ordering a portion of BBQ pigeon. There are a number of places offering this dish. However, the best one that I found is in 20 Hang Giay Street, Old Quarter, Hanoi. Right now, plan a trip to the ancient Hanoi and include these 10 best delicacies of Hanoi in your must-try food list. Then, your trip would be full of joy and excitement. Have a good time in Hanoi!